Apart from being a most preferred micro nutrient, Our Magnesium Sulphate is used in host of other manufacturing activities like Animal Feed, Paper and Pulp Industries, Health Care Products, Detergents, Tanneries, etc. Our manufacturing units have a present installed capacity of 30000 TPA. With this, the company remains most preferred source for a host of domestic and international clients. We are specialized in exports & marketing Magnesium Sulphate by adopting State-of-the Art technologies in both Hot and Cold processes to meet customer’s specifications. 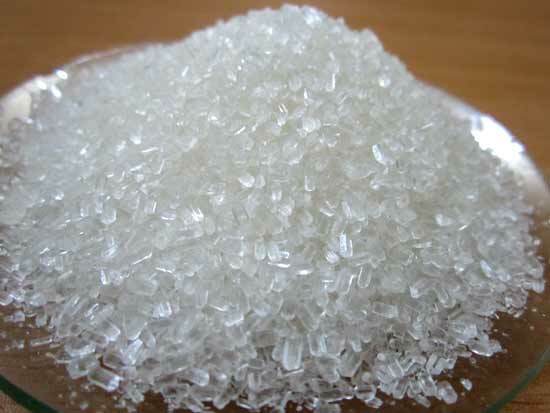 Anhydrous magnesium sulfate is prepared only by the dehydration of a hydrate.We are dealing with fertilizers (Magnesium Sulphate) and our only aim is to provide Customers Satisfaction. 25Kgs/50Kgs HDPE/PP bags with Poly inner-liner.